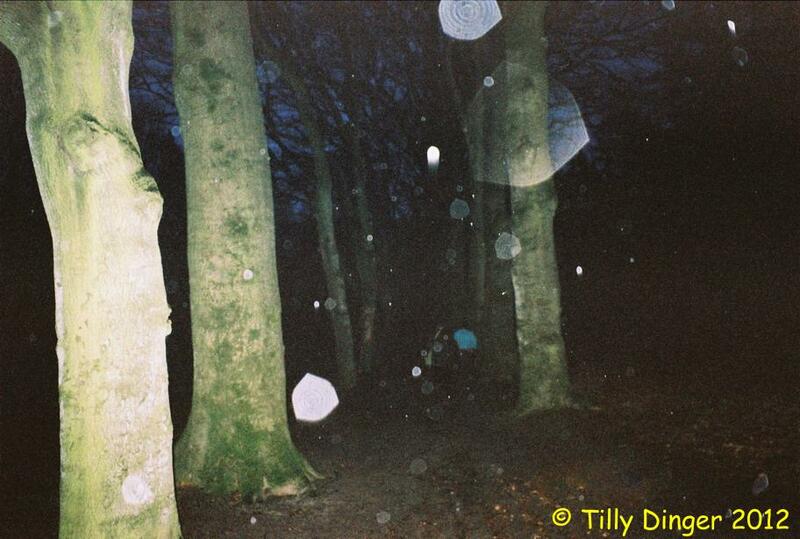 As I (Ed) regularly give Orbsexcursions for interested people, Tilly Dinger attended our groups several times. On november 19th 2012 we had another excursion in which Tilly participated. Besides her digital camera, she also used a analogue one. I really love that, for however nowadays most photos are made with digitals, the phenomenon can be captured on analogue camera's as well. 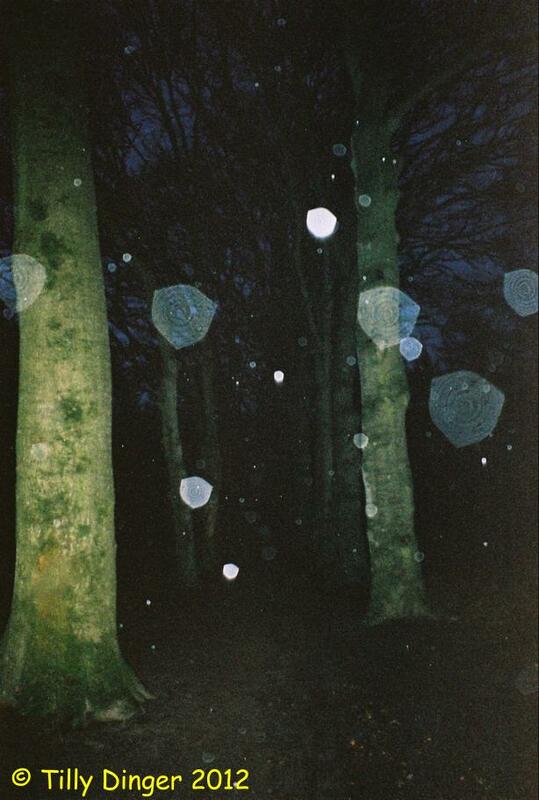 As a matter of fact, The whole discovering of the Orbs phenomenon started for me using those camera's using rolls of film. 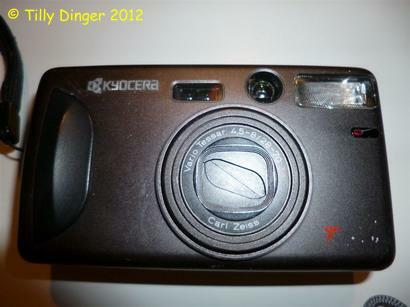 A simple compactcamera of the Brand Kyocera. Kyocera is a large factory. They also produced camera's for Contax and Yashica. Pay attention to the camera's lens. A Carl Zeiss lens. Carl Zeiss lenses are German lenses, that belong to the top of lenses during decennia. As Tilly had her roll of film processed, so developped and printed, I asked her to have the negatives, for beeing the most original "documents" professionally scanned. And so she did. The photos you see are "full frame" no reworking. Except putting in Tilly's copyright, and having them resized for putting them on this website in a convience size. The originals however are available for further research. Just contact me. As these photos seemed to me very spectacular, and as they are spectacular, I decided to post them to my friend Klaus Heinemann. Dr. Heinemann is a physicist who was a professor of research at Stanford University and worked a long time for NASA. He co-authored two books, translated into many languages. 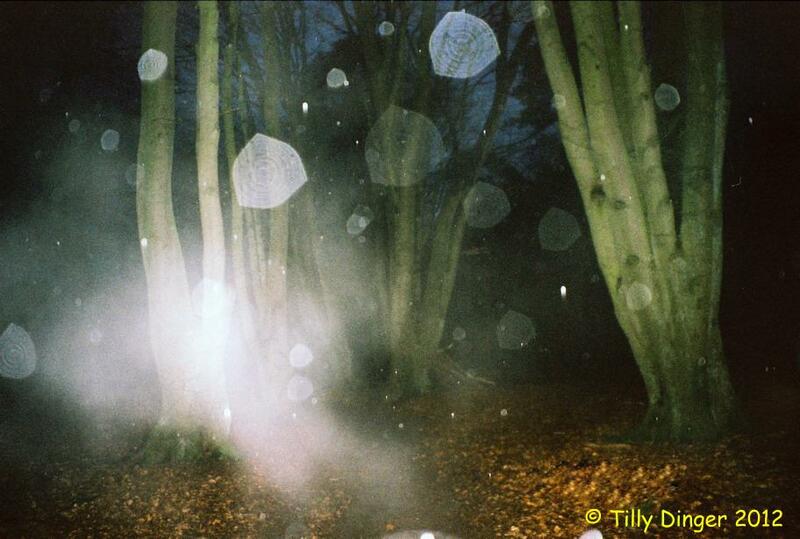 - Orbs - the Project (with Dr. Miceal Ledwith, Atria Books, Simon & Schuster, 2007). - Orbs - their mission and messages of hope (with his wife Gundi Heinemann, Hay House, 2010). "This is a tough one! Knowing they come from Ed, I have no doubt about their authenticity. Their shapes and their sharpness do puzzle me. One could argue that they might be a different class of orbs, coming about with a peculiar radiation (much longer wave length, subject to much less optical diffraction, yet energetic enough to trigger the AgCl dissociation in the conventional photographic process -- not explainable with the conventional thinking paradigm). 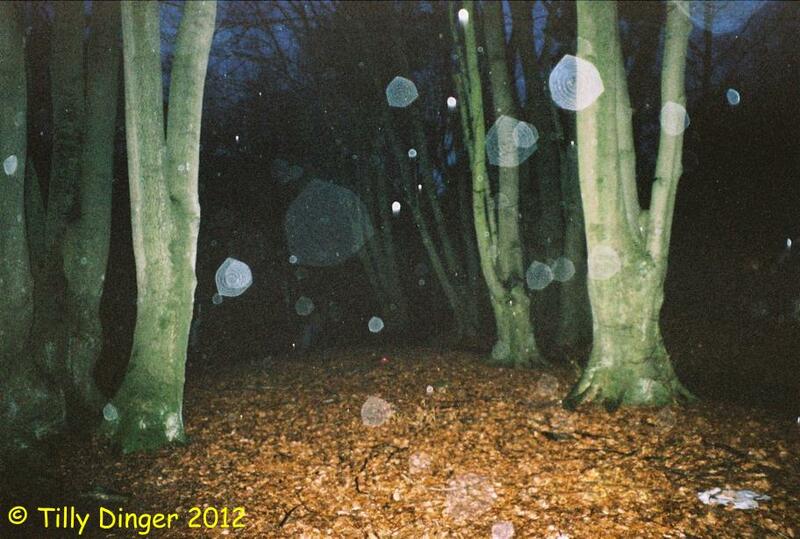 The unusually sharp contours of these orbs hint in this direction. It could also "simply" be emanations of spirit beings that would want to communicate through the unique shapes of the orbs they emanate. I do have good evidence of very unusually shaped -- yet "regularly" contoured -- orbs. 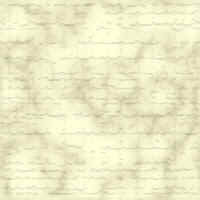 Either way, conventional thinking does not appear to take us very far here." Some days later I got another message from Dr. Heinemann. I was even more excited, because Klaus reported about some research he did on Tilly's photos, and attached some slides with his findings. Please carefully look at Klaus's slides and read his comments/explanations. To view the presentation of Dr. Klaus Heinemann, please clik on the Picture below. I evaluated photos 233 and 244, because they have particularly nice orbs and were originally taken with different camera orientations (233 in landscape, 244 in portrait). I selected two nice orbs from #244 and one nice orb from #233 (see first slide). I then chose orb #1 from 244 and superimposed it -- after re-sizing to the same size -- with the orb selected in 233 (see Slide 2). There was no fit (see center-bottom in Slide 2). However, when the orb in one of the photos (I chose Orb 1 of 244) is rotated by 90 degrees, to simulate landscape position also for this photo), superposition gives perfect outer contours. 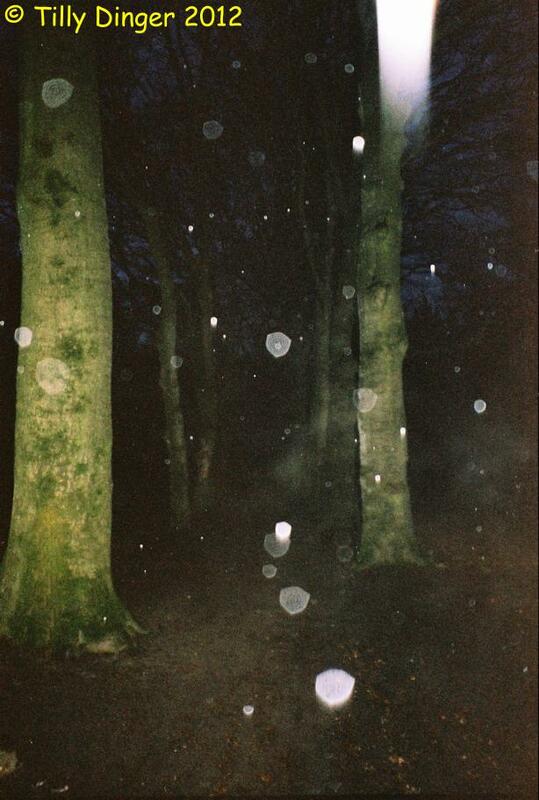 This indicates that almost certainly we have a camera condition; likely, the contours of the shutter or aperture determine the shape of the orbs. In the absence of a photomontage (which I exclude because I fully trust in your ethics), I conclude that the radiation emitted by these orbs is significantly different from normal light. I discussed something similar in conjunction with the last photo in my 2010 book "Orbs, their Mission and Messages of Hope" (co-authored with my wife Gundi), the "O'Jack Effect." There, my conclusion was that the radiation was at "regular" wavelength but reduced frequency. Here, it looks like it is going in the other direction -- radiation at longer wavelengths. As a second observation from this superposition experiment (still Slide 2), I noticed that the orb interiorities of the examined orbs (#1 of 244 and that of 233) were very similar. I have seen this before in other photos (e.g., a photo series I received earlier from a different photographer -- about which I presented at various talks/ conferences/presentations but not yet in our books or on our website). 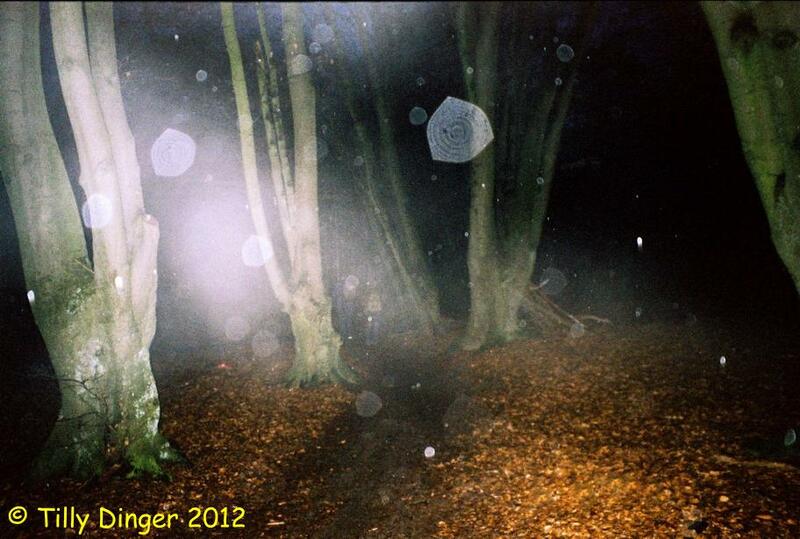 I conclude that the same (type) of orb was present in both photos. This is VERY significant !!! 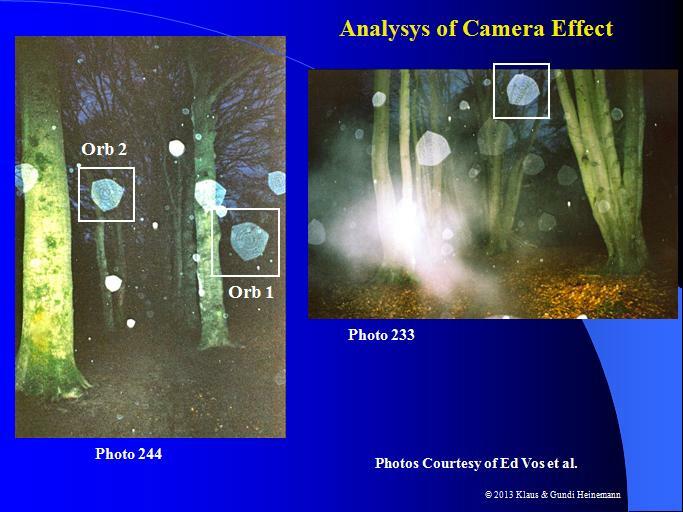 For example, these findings clearly put an end to the arguments of some critics that orbs are reflections at airborne particles. In order to further examine this effect and observation, I took a closer look at two different orbs in the same photo (244). See Slide 3 for details. I found, as would make sense, that Orb #2 has different interiorities than Orb #1. Superposition of that orb with the one in 233 gives reasonable agreement in the outer shape -- upholding the camera effect -- but very marginal agreement in the interiorities. This could mean that these two orbs (#2 of 244 and the one examined in 233) are emanations from different spirit entities. Of course, these are very crude conclusions, but nothing significantly "better" comes to mind that would make sense to me at this point. 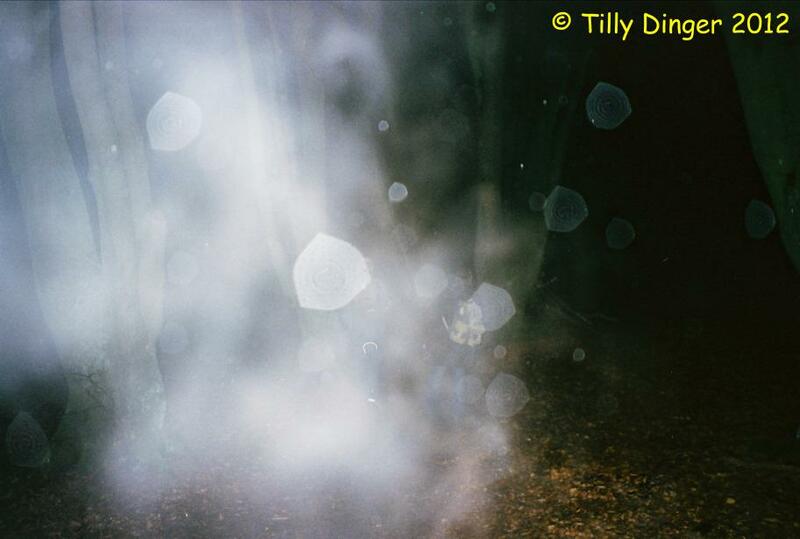 I am obliged to Tilly for taking these analog photos during my orbs excursions and making the original photonegatives available to me for professional digitizing/scanning. I greatly thank my friend Dr. Klaus Heinemann as well for his research and sharing his findings with me. Tilly, Klaus, thank you for permitting me to share your pictures and information on this website.